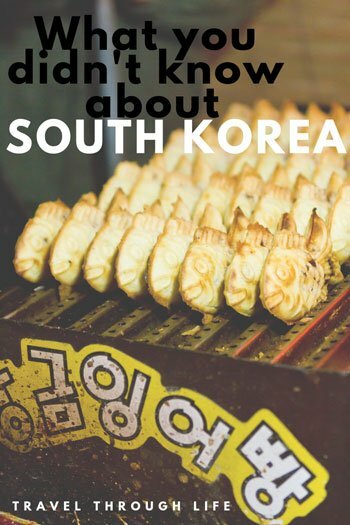 If you’re planning to travel to South Korea, there are a few things we think you should know. We called The Land of Morning Calm “home” for more than a few years and loved so many things about the place. Honestly, we thought reading about the culture and picking up some phrases beforehand would suffice to prepare us for the journey. But once we arrived, there were so many little and not-so-insignificant cultural tidbits that we picked up along the way, and that’s what we want to share with you here. If you’re still looking for a place to stay, check here for the best prices and availability on hotels in Seoul and other South Korean cities. 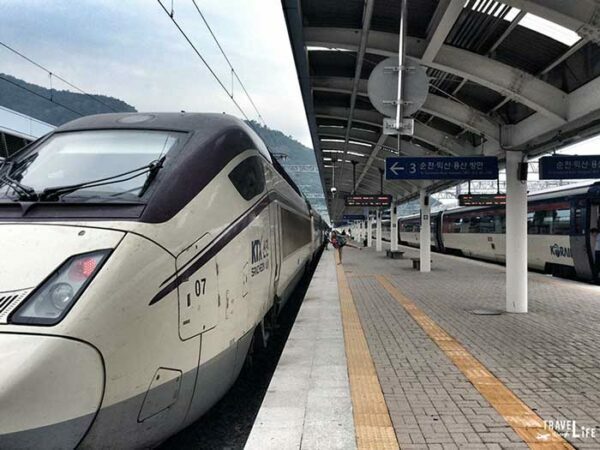 It might seem like forever to travel to South Korea but getting around the country is so easy. We spent a lot of time driving around and checking out the country, but you have tons of transport options. That includes high-speed KTX, buses that come every five minutes, and taxis chasing you down. Seoul’s subway system is a beautiful work of art and thankfully, you’ll find roman characters and even English translations on many signs. That makes traveling throughout the country super convenient. Not only is it fairly easy, but it’s also super cheap! Hiking through beautiful Juwangsan National Park. It’s amazing when you look at the bustling cityscapes and neon signs to think that South Korea also has a thriving hiking culture. No matter where you are in the country, a mountain to hike is easily accessible. The trails are easily marked, complete with stairs, handrails, and a maze of beauty. And Koreans don’t take their hiking lightly. If you’re up on the mountain you will see people geared up to the nines with hiking poles, huge floppy hats, serious pants, an extra bottle of soju, and some kimbap to share as you pass by! 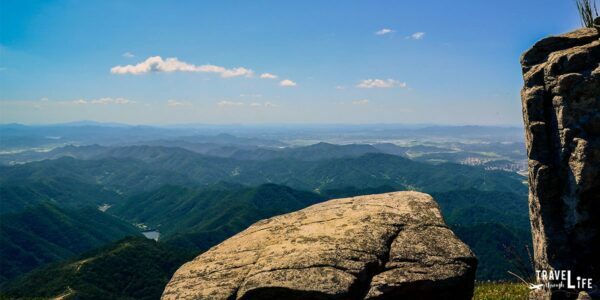 The scenery from atop a Korean mountain is unlike any other, and fantastic that it is so easy to access! 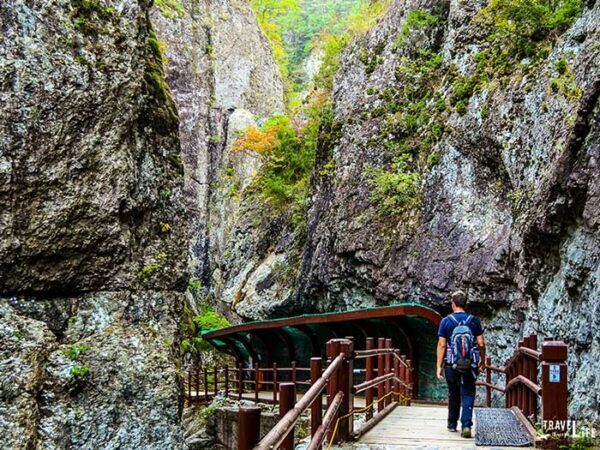 Some of our favorite South Korea hikes includes Naejangsan National Park and Wolchulsan National Park in the Southwest, Geumodo Island near Yeosu, and Juwangsan National Park and Gayasan National Park in North Gyeongsang Province. If you’ve ever been, what are yours? In a country that takes pride in its homogeneous society, you are going to stand out. Even if you’re Asian/Korean-American, you’ll be spotted as an outsider. Sometimes that’s greeted with a gang of elementary school kids running up to you and saying, “Hi!” and giggling away before you can respond, but sometimes it’s accompanied with a request for a selfie and “So handsome! So very handsome!” While in Western culture, that might seem weird or feel like an invasion of privacy, it’s really harmless and innocent in South Korea. For a deeper look at Korean culture, check out Impossible Country by Daniel Tudor. It’s a great read! At first, going to a restaurant in Korea can be a very confusing and frustrating experience for Westerners. You don’t get your own meal and you eat family style, so make sure whoever you’re traveling with is agreeable and up for the adventure! Most restaurants specialize in one kind of food—Galbi, Samgyupsal, Dak Galbi, Bibimbap, Samgaetang. However, the omnipresent Kimbap Nara (or similarly named place) offers quite a few different dishes for cheap. Also, splitting orders, checks, and “having it your way” isn’t a thing if you request it, you likely won’t get it. So just bring cash and all will work out. We highlighted a lot of this deliciousness in our guides to Nampodong Street Food in Busan and Korean food beyond Kimchi. 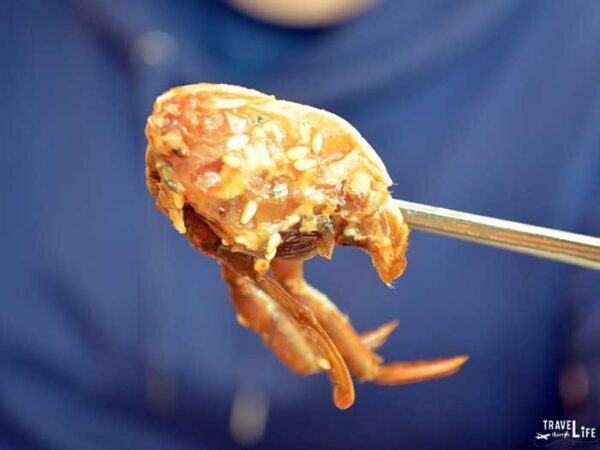 Marinated Raw Crab (게장) in Yeosu. Live octopus. Raw crab. Fermented skate. Lotus root. Raw beef. Jellyfish salad. Larvae. We promise you. Eat it first, and then ask later. Things that you would normally never eat or think about eating are a necessity to try when in South Korea. I’ve eaten all those things and there are really only a couple of things that I regret. But if I had asked first I probably wouldn’t have enjoyed some of my life’s amazing and interesting experiences! Except for mayonnaise on salad. Don’t hate me, but that is NOT cool. 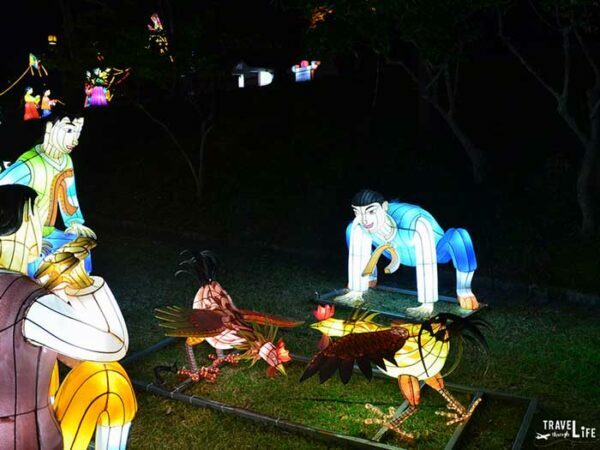 We were lucky to live in Jinju, since this awesome Lantern Festival is held there each year. Seoul is a buzz, filled with so many neighborhoods, incredible food, palaces, and mountains. It would be easy to spend an entire week in Seoul in just one neighborhood and never run out of things to do. But only going to Seoul is like traveling just to New York City and saying you’ve seen all of America. And since Korea is much smaller than the US and extremely easy to travel (thanks, high-speed travels and interconnected city buses) why not explore the rest of the country? When living there, we spent the majority of our years in South Korea in “smaller” cities (Gwangju, Jinju, and Yeosu). That’s how we found that there is something unique about going south. The ocean, mountains, eats, and sights are all completely unique. It’s worth leaving the city and seeing more of South Korea. Many of us westerners think of coffee as something to wake you up and consume first thing in the morning. We head to Starbucks bleary-eyed and ready to slug down a cup of joe. Coffee is more social in Korea, and therefore most coffeeshops open later in the morning and are busiest in the evenings. Instead of going to the coffee shop before 9 am for a pick-me-up, enjoy some delicious pour-over (“hand drip” in Korea) or some cold brew (aka “Dutch”). It’s just different and if anyone who’s taught in South Korea can attest to a different kind of pick-me-up. That is, filling up a tiny paper cup with boiling hot water and a sachet of instant Nescafe, complete with 80g of sugar. Come springtime, the Jinhae Cherry Blossom Festival is absolutely worth a visit. Boseong is famous for green tea. 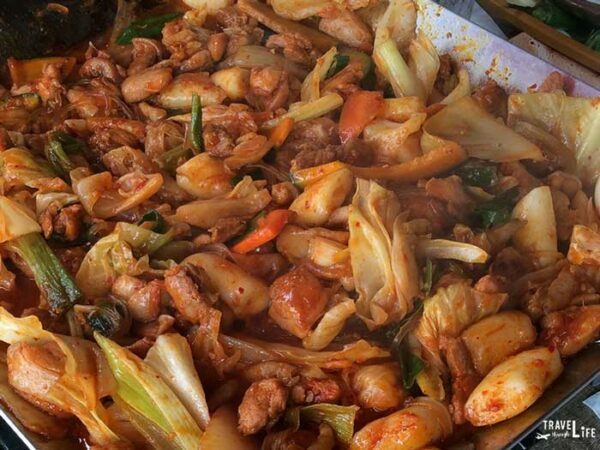 In Chuncheon, it’s dak galbi. 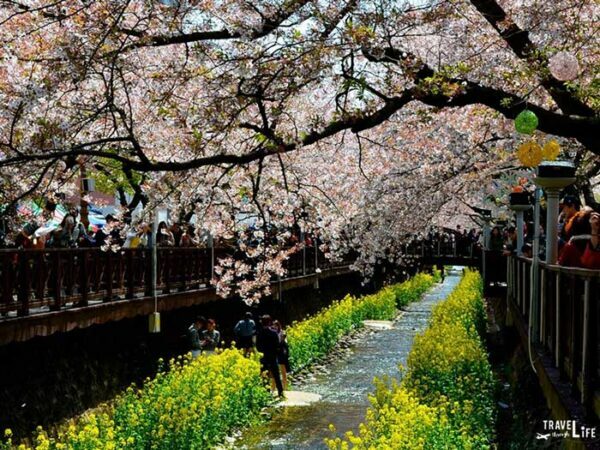 Jinhae is best-known for its cherry blossom festival. Literally, every town in South Korea is “famous” for something. Part to probably encourage travel to even the smaller areas of South Korea, festivals happen every weekend of the year around the country to celebrate something special about that area. There’s even a mud festival in Boryeong which is a heavily photographed and popular festivals for expats. So wherever you travel to South Korea, relish in whatever they are “famous” for, as they take deep pride in what the region is known for. 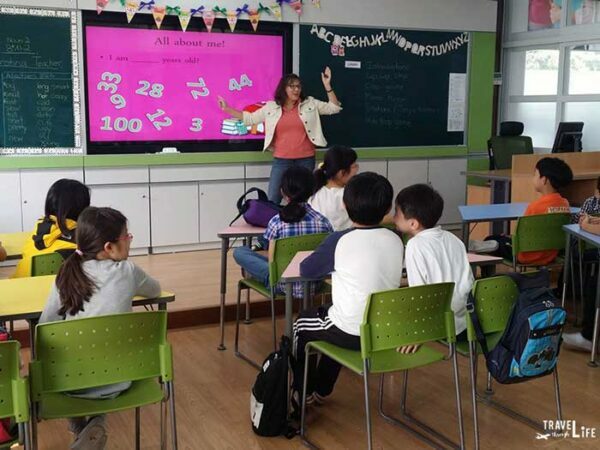 Education is a huge deal in Korea. 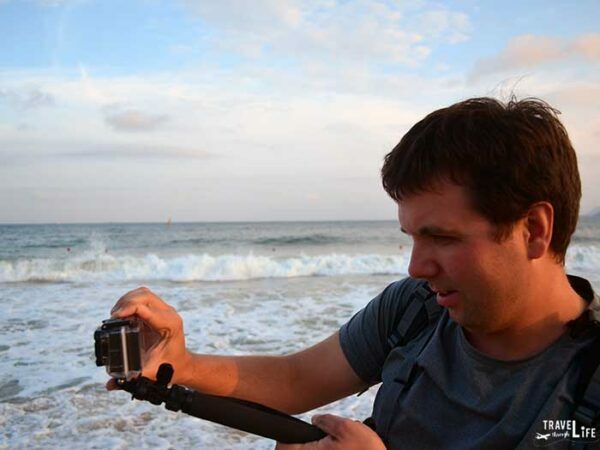 Even if you’re just there as a tourist, you’re going to notice the dedication and obsession with learning. That comes in the form of ever-important test scores, afterschool, public education, university, and neverending adult education. Every person you see in South Korea is going through some stage of this cycle. Maybe you’ll see an “English Town” or hordes of middle school students in uniforms quickly slurping down ramen. As an outsider, their obsession with education could seem strange. But South Korea has rebuilt themselves from a third world country to one of the biggest powerhouses in industry, technology, and education in less than 70 years. Any guess what “Chi-maek” might be? Work hard, play even harder. Drinking is its own culture in South Korea. From pulling up a plastic chair outside of a convenience store to walking around with a frozen beer, you’re going to probably get very very very drunk at least once when you travel to South Korea. 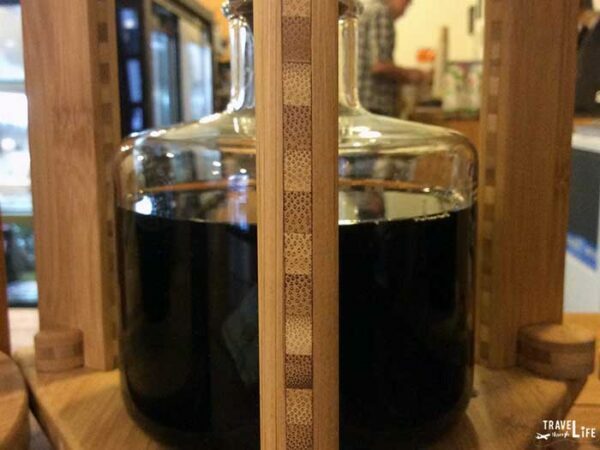 Soju is often referred to as Korean sake—By the way, it’s not, so don’t even try. The Korean stuff is cheap, high in alcohol content, and available literally everywhere. 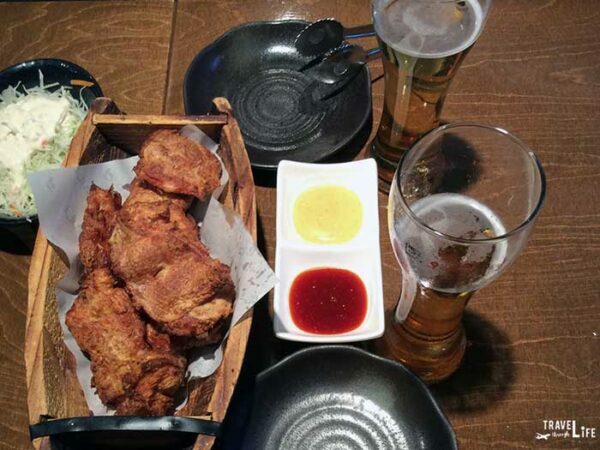 So-maek combines Soju (소주) with Beer (맥주) and is often the key to a good night out. Whether it’s over some barbeque or at the Noraebang (singing room), Maekju and Soju are a necessary experience when you travel to South Korea. That’s right. Take off your undies and slip into the public baths of South Korea and you’ll love every minute of it. This is one of our favorite winter things to do in the country, but visiting these places is great throughout the year! They have green tea baths, wine baths, bubbles, no bubbles, individual pools, and the list goes on. Some places even offer a variety of hot/cold/salt/themed rooms in the communal area that allow both men and women, with sauna-issued uniforms, of course. It’s totally possible to make an entire day of the sauna. Whether it’s one with an incredible view from the whirlpools or the hottest clay kiln you’ll ever experience, take in all the cultural sights while sweating out the sins (I mean, Soju bottles) of the night before. Bonus: Many saunas double as Jimjilbang and offer communal (cheap) areas of sleep for the night. 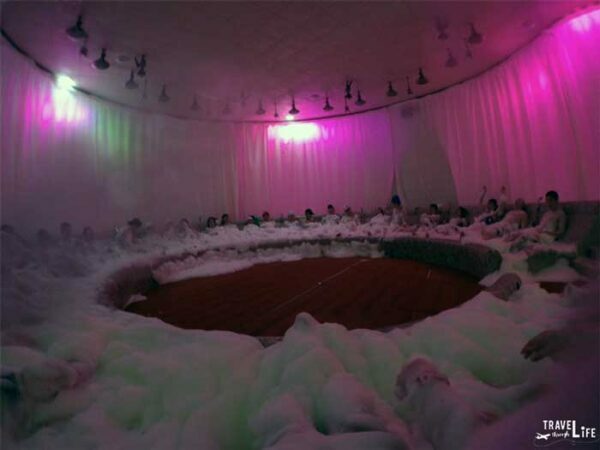 While it isn’t the most comfortable and you might find yourself next to a snorer, spending the night in a Jimjilbang is also an experience you must have before leaving Korea! So now that we’ve laid it all out there, what else do you think a person should know before they travel to South Korea? We’d love to read your thoughts and opinions if you’ve been before and especially if you lived there. 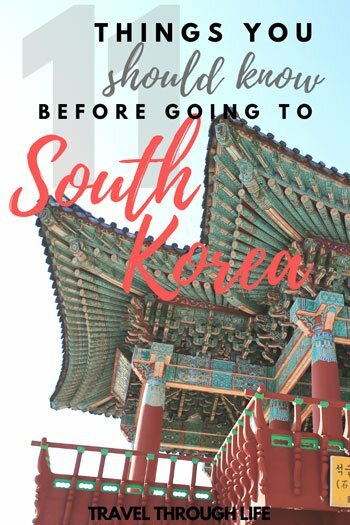 This guide is part of our blog’s series on South Korea Travel, where we’ve covered places to visit in Seoul, faraway spots like Gongju, Naejangsan National Park, and more. It is also a part of our Asia Travel and East Asia Travel sections. Good stuff Christina. Always gotta have that selfie shot ready, especially in such a beautiful country.